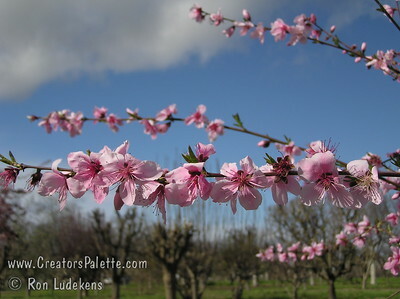 Donut Peach (Saturn Peach, Saucer Peach, Peento Peach, Pen Tao) - Prunus persica sp. 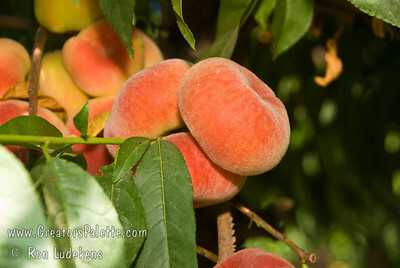 Donut Peach (Stark Saturn)(Saucer, Peento, Pen Tao) - Prunus persica sp. 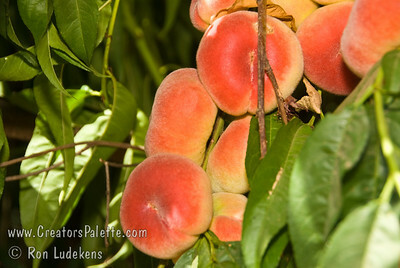 An unusual and very hardy, somewhat flattened, peach. About 2 1/2" in diameter. 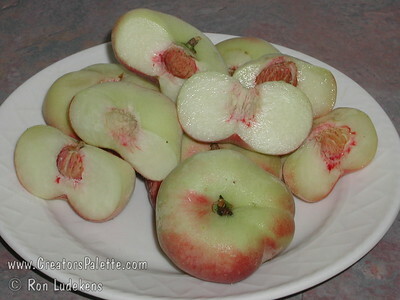 Freestone with a very sweet, mild, white flesh. 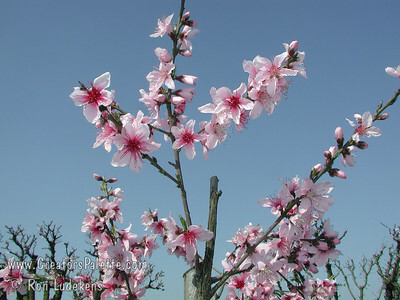 The hardiness level is similar to Reliance Peach. 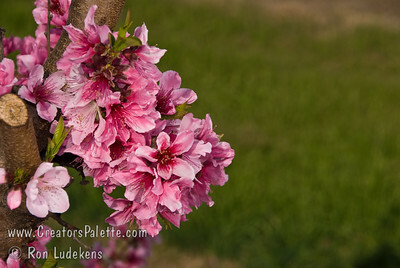 Good for hot summer areas as well. 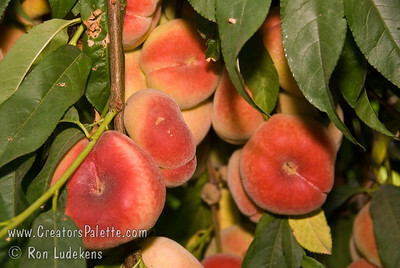 Ripens: Late June to Early July with Red Haven. 450 Hours chilling. 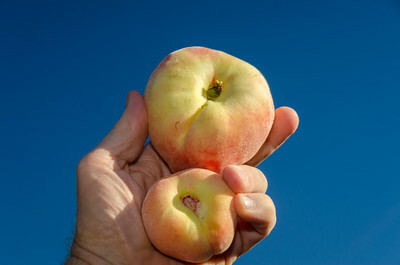 Simple comparison between the larger Galaxy Peach (above) and the smaller Donut Peach. 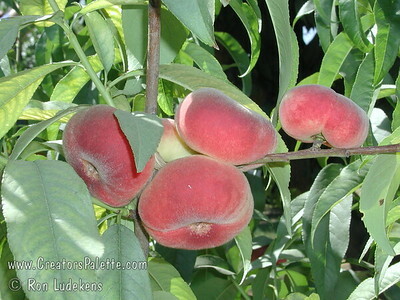 Donut Peach (Stark Saturn)(Saucer, Peento, Pen Tao) - Prunus persica sp. 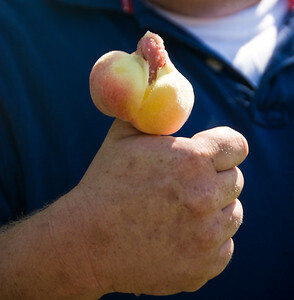 An unusual and very hardy, somewhat flattened, peach. About 2 1/2" in diameter. 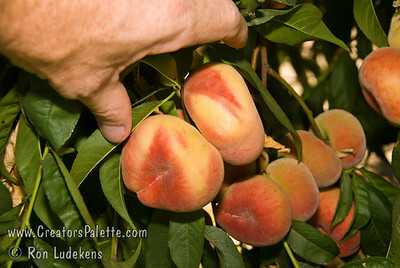 Freestone with a very sweet, mild, white flesh. 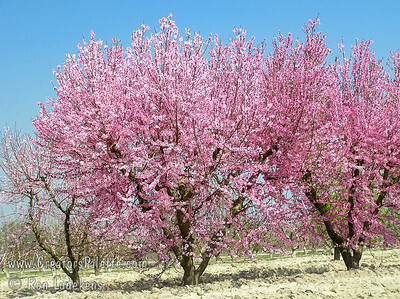 The hardiness level is similar to Reliance Peach. Good for hot summer areas as well. 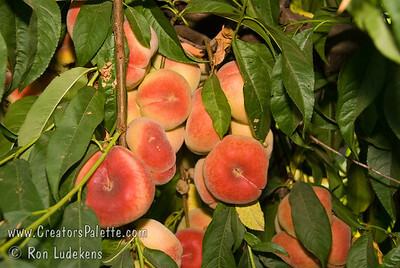 Ripens: Late June to Early July with Red Haven. 450 Hours chilling.